Your kitchen is one of the most conspicuous rooms in your house. Fitting or remodeling this space in a contemporary style will create an area as attractive as it is practical and add great value to your property. 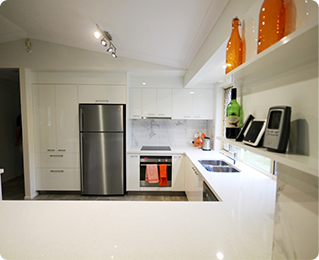 For the construction of modern kitchens in Brisbane, Konstruct Interior Solutions are the regional specialists. Our long history in the industry has given us extensive knowledge, skills and the adaptability to incorporate all your requirements into our plans. We take pride in all our customised, modern kitchens in Brisbane and ensure that every aspect of every job meets our high standards of workmanship. Similarly, all our subcontractors are BSA licensed professionals, allowing us to offer such a wide range of services without compromising on quality. Brisbane is Queensland’s biggest city. Some of the many popular locations include Queen Street Mall, Wickham Park, the Aurora Tower and the Kangaroo Point Cliffs. If your kitchen looks outdated and doesn’t reflect your personality or preferences, depend on Konstruct Interior Solutions to improve it. Our founding partners have more than three decades of experience in the interior design industry, and we are ready to use our knowledge to deliver great results. Because we are skilled in all aspects of helping customers get modern kitchens they’ll love, you can look forward to excellent results in your home, too. 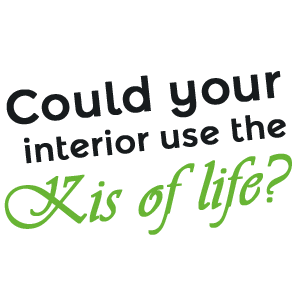 We serve customers in Brisbane and surrounding places. Remodelling a kitchen requires a lot of planning, but we’re eager to help you with all the stages. Our team takes pride in delivering high-quality workmanship during every project. Depend on us to help you figure out the details that will enhance your kitchen in both aesthetic and practical ways. Perhaps you have some other ideas about improving your home, but they’re associated with another area, like the bathroom. Whatever you’re thinking about, get in touch to learn more about how we can help. We’ve equipped bathrooms with shiny new vanities, and also assisted with commercial projects for retailers. Put our expertise to work for you. We have satisfied customers in places like Brisbane and think you’ll also love the way our interior design knowledge can improve your space. Contact us via phone now, or just fill out the online contact form to get a quote for your future project. We’re ready to show you how easy and rewarding it could be to plan and implement changes that could make your kitchen look more contemporary and reflective of the way you live.